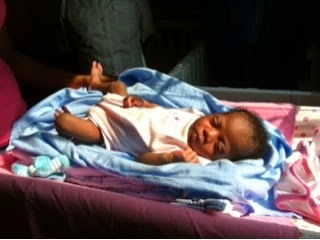 Mwana Baby Home: Meet the Babies of Mwana Baby Home! 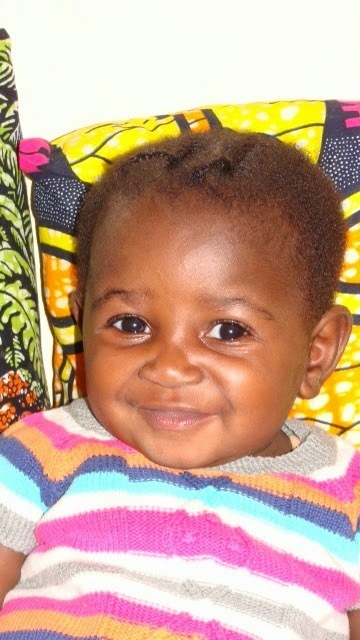 Meet the Babies of Mwana Baby Home! 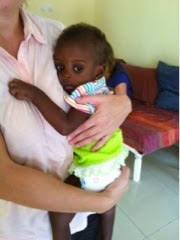 Mwana has the wonderful privilege to care for babies who have been abandoned in Pointe Noire, Congo. 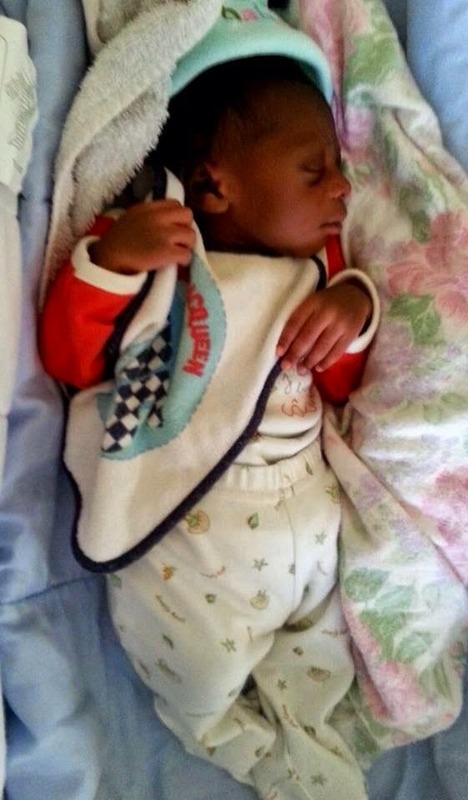 Many of these babies have endured very tragic circumstances, and mothers have abandoned them at the hospital at birth, on the street, or left in other orphanages where they have nearly died of starvation. Each baby who comes to us shows how precious each and every life is! In the care of Mwana and our wonderful mamas who nurture them physically, emotionally, and socially for their healthy development, we see transformation before our eyes. Each baby has his or her own unique and wonderful personality that comes out as the babies flourish in this safe and nurturing environment. See recent photos and videos at our Facebook page! Durant joined the baby home in late May. 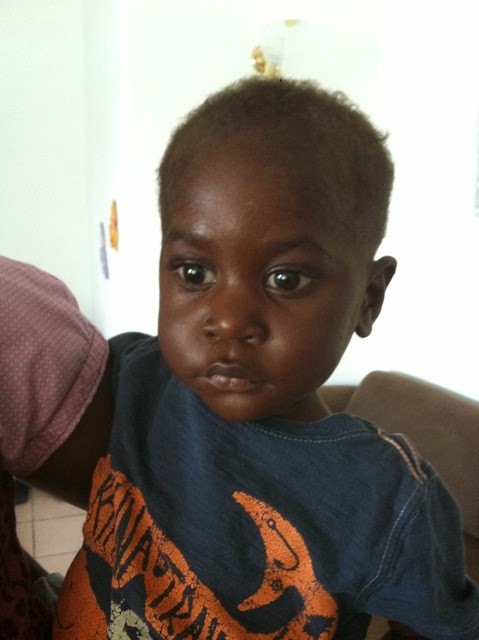 At about 10 months old, he is quiet-natured and in need of a lot of care and attention--we are happy that he is in care of Mwana Home so he can begin to thrive! 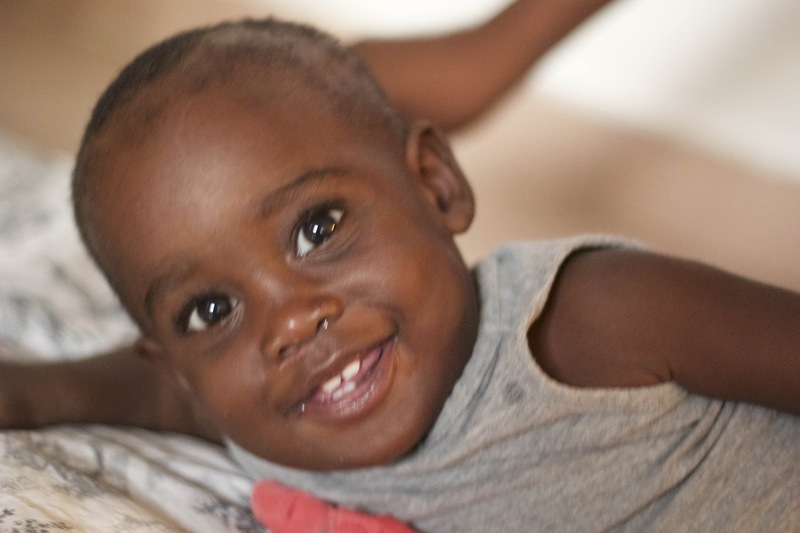 Toddler Zacché and his twin brother and sister Déo and Docché joined the baby home late April and were in need of significant medical attention. 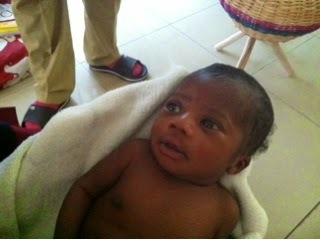 Déo spent several days in the hospital receiving medical attention for infection, fever and diarrhea. They are now all recovered and thriving in care of Mwana Home. 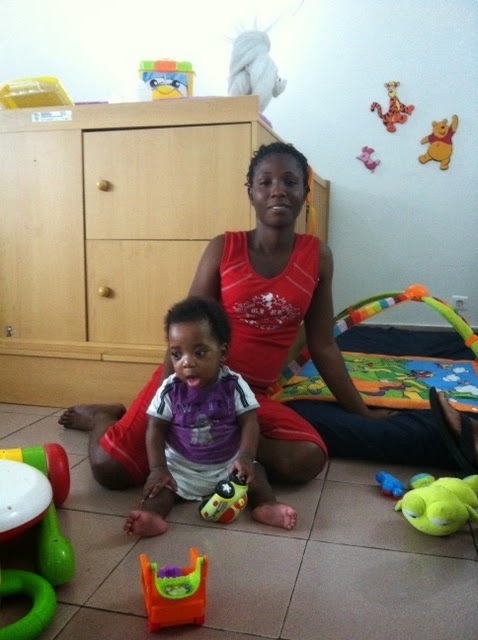 Déo and Docché are both happy babies and Zacché is a curious, bright, playful and joyful little boy. 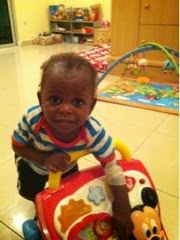 Welcome to Jérémie, who we welcome to Mwana Home after he was abandoned in very poor condition. He spent 10 days in the hospital malnutrition unit. 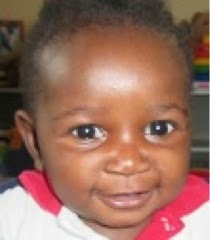 We know he will thrive under the care of Mwana Home with the mamas who will love on him and provide his physical needs. 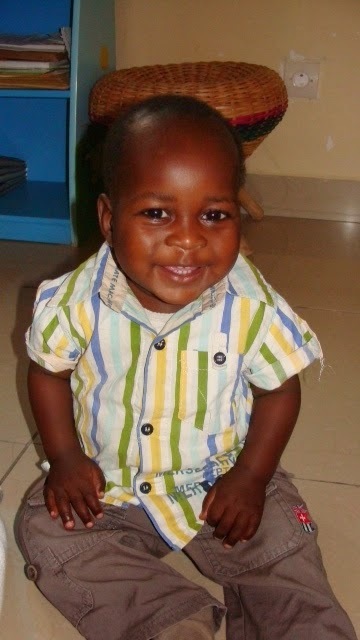 Ethan was welcomed to Mwana Home at approximately 5 months old. He is a delightful baby and we are privileged to care for him. We look forward to seeing his personality develop and watching him thrive while in our care! 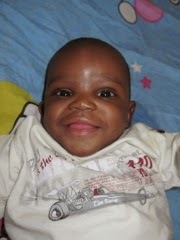 Benjamin joined Mwana Home just after he was born. We have been able to tend to some of his health concerns and ensure that he has thrived over the past couple of months. Benjamin is now part of a forever family. Yan Daniel arrived at the baby home in late August. 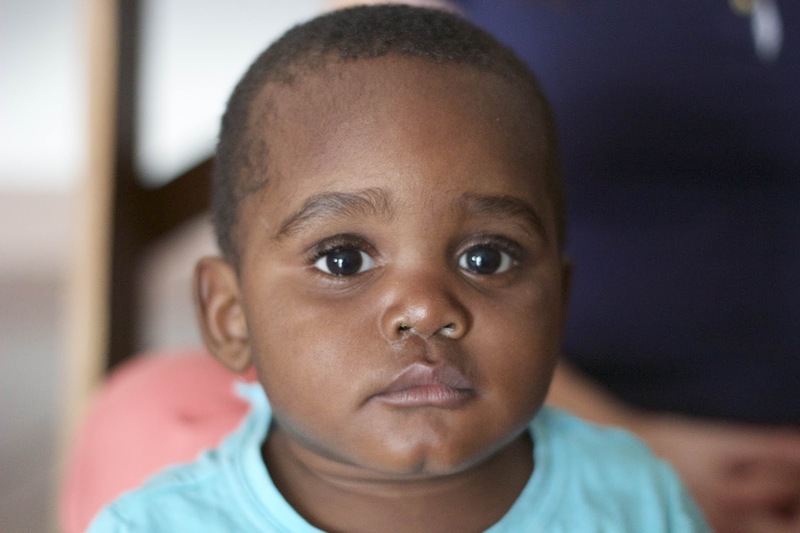 He is named for missionaries on Mercy Ships who helped to make the baby home possible and for one of our Congolese supporters who made the purchase of the land possible. He is so happy and playful. 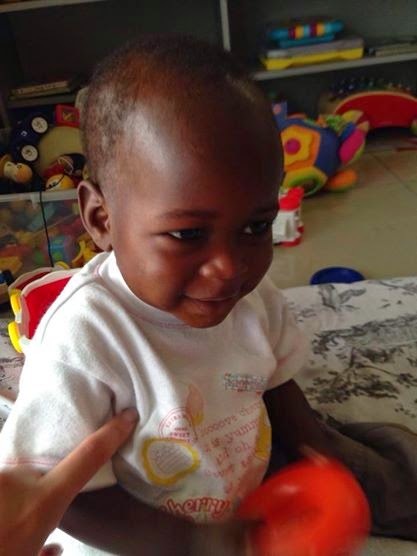 After a couple of months in the baby home, Yan Daniel has been given the nickname "Ya Daniel" (Ya is the nickname for "big brother" in Congo) because he is the big brother to all the babies in the home. He is affectionate, playful, and attentive. 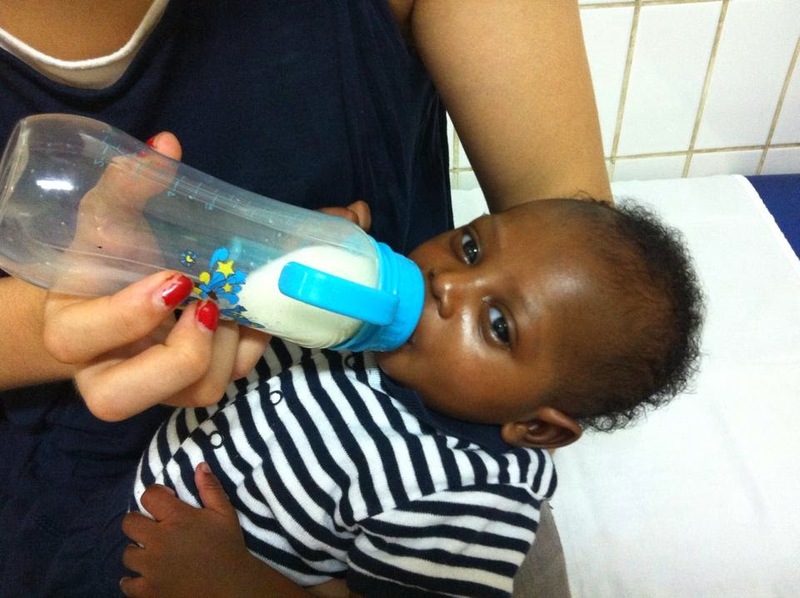 Ronald David was in the care of a local hospital for months while he was left relatively unattended, significantly impacting his development in his first few months of life. Upon his arrival to Mwana, he was delayed and cried unless held in a particular position. However, in the past several months since his arrival, he has made incredible progress and growth! He now smiles and interacts normally, loves to receive attention, and is also more expressive. His young mother left him with a friend because she was not able to care for him at the time. After a week, the friend brought the baby to the police station and that’s when he was given to us to take care of. He was about 3 months of age when brought into the care of Mwana. 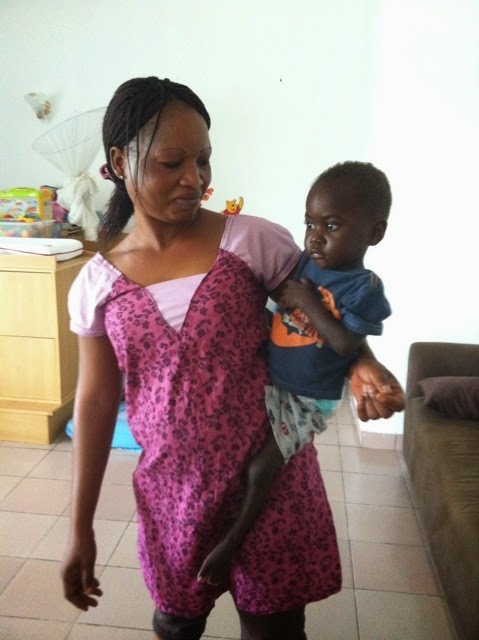 Emmanuel's mother has recently returned to learn how to care for him and to find work to be able to provide for him. 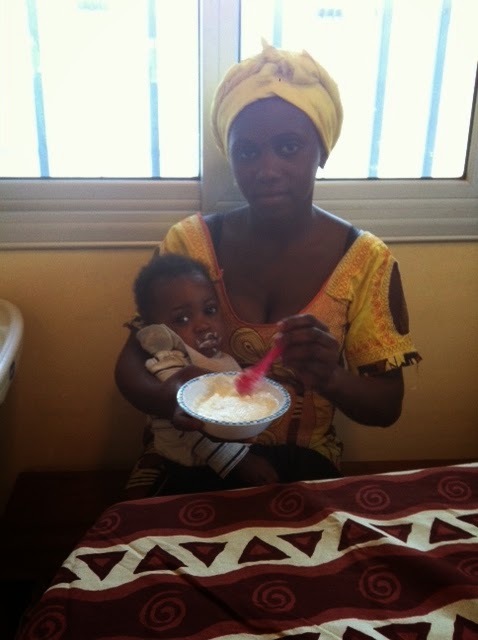 Mwana provides regular training and support for her so that she can care for herself and her child. 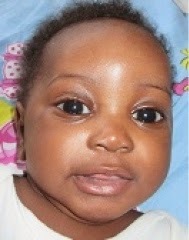 Leïla arrived on July 13 to the Mwana baby home. This baby is such a beautiful, joyful, healthy little 6-or 7-month-old girl. Cassandre, a Canadian teacher and volunteer who spent her summer vacation volunteering for Mwana, fell in love with her on the spot and named her Leïla. Leïla means "night beauty." It is appropriate because Leïla was found at night and she is a beautiful girl. 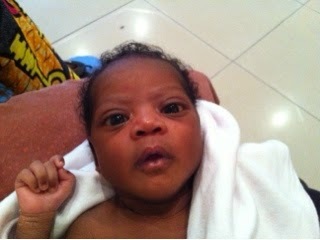 Cassandre also gave her the name "Nsayi" which means "joy" because Leïla is a child emanating joy. When the judge called Cheryl to say there was a new baby for us to welcome, Cheryl replied: "elle est la bienvenue" so the judge said that "Bienvenue" should also be her name. Leila has blossomed into a playful, joyful, and affectionate baby. 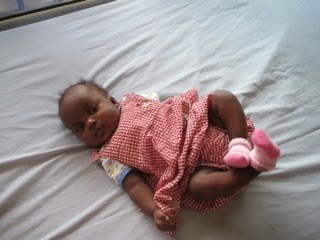 When Amandine came to the Mwana baby home, she had just been discharged from the hospital after a one-week stay. She was so malnourished and in danger, that the orphanage she had been at before coming to Mwana had decided to hospitalize her. She was so thin and weak. In her eyes, you could see so much suffering, and she was still and passive. We immediately began feeding her special formula and making her homemade baby food. In just a few weeks, there was a noticeable difference! She went from being lethargic and self-soothing by sucking on her forearm to being playful, energetic and affectionate with people. 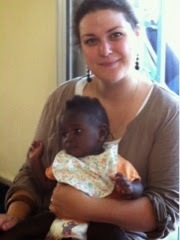 Amandine is now an affectionate lively baby who loves giving kisses! 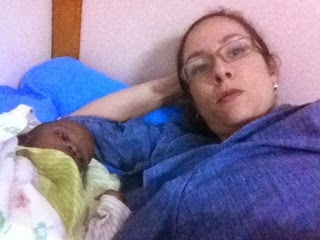 The judge ordered us to go to the Congolese government orphanage to get two babies that needed better care. 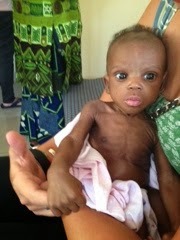 One was hospitalized, so we brought Exaucé into our care, a very small, malnourished 4-month-old. 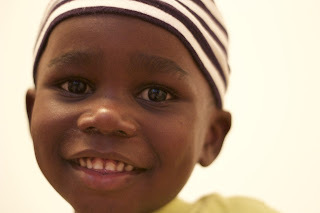 His father and mother left him with his grandmother who brought him to this orphanage in March. 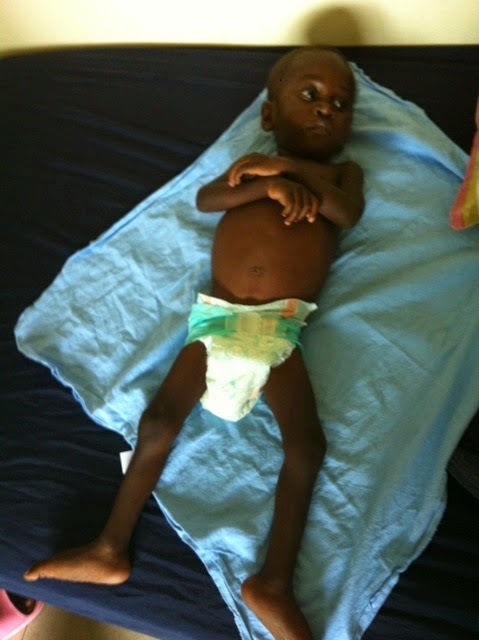 Even after 2½ months there, he was still extremely malnourished. He weighed less than 3 kg and was hungry but doesn't have much of a sucking reflex. We cried and prayed for him. Cheryl lying in the hospital bed with him because he had a fever and diarrhea so he was hospitalized the day after we welcomed him. 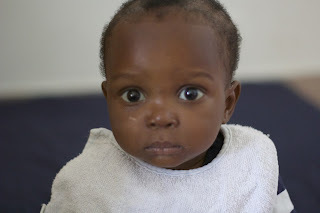 When Exaucé came to Mwana Villages baby refuge, he was not only extremely malnourished and dangerously underweight, he was also very stressed and tense. Now, not only has he gained considerable weight, but he is happy, interactive and at peace! It is such a joy to see. He makes all the hard work worth it. The caregivers have been doing daily physical exercises with Exaucé to help him catch up with his motor and mental development, since he was greatly affected by the severe malnutrition he endured. See our Facebook Page to watch Exaucé crawling! What a miracle from the condition in which he came to us! This photo of him was taken about 7 weeks after the above. Just a couple of days after welcoming our first baby, another baby arrived. We named her Zola Janelle. "Zola" means "love" in Munukutuba. She is so beautiful. She looks similar to Grace Elikia and seems to be the same age, so have said they are twin sisters. Zola is now part of a family. 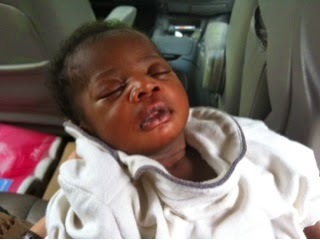 Just two days after the judge's visit and approval, she called us to pick up a newborn that was abandoned. 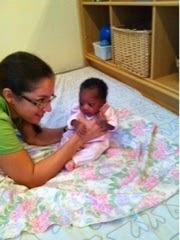 Just one week old, we welcomed a beautiful little girl, whom we named Grace Elikia. "Elikia" means "hope" in Lingala. Grace is now part of a family.